There are two ways to sign up for an account. You can sign up from the payments page in online banking. 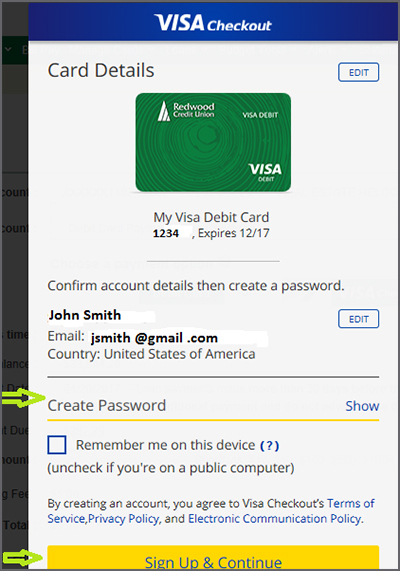 How to create a Visa Checkout account in online banking. In online banking go to Transfers & Payments and select Payments. 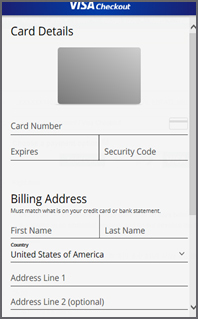 Select an account and choose Debit Card Payment/Visa Checkout. 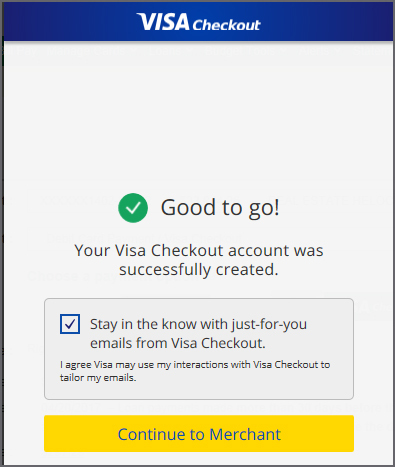 Click on the Visa Checkout logo to start the setup process (see screen shot). Note: If there is no payment due on your account you may not be able to select the Debit Card Payment/Visa Checkout option. Enter your email address and Click “Continue” button. 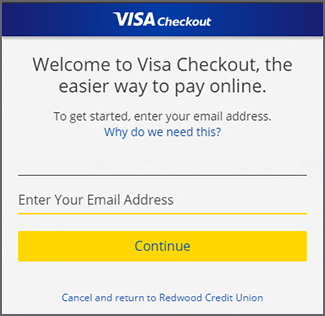 Enter card details and click “Continue” button. The card information will be validated. Then you will be prompted to enter a “password”. Click “Sign Up and Continue”. The account sign up is complete. Click “Continue to Merchant”. 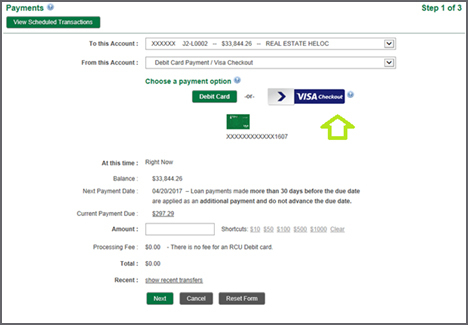 This will populate the card information onto RCU’s payment page and follow the payment prompts. * You will receive an email from Visa Checkout explaining the service. 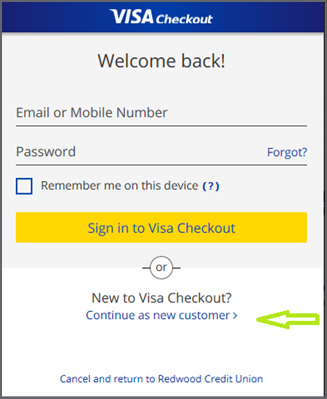 When you choose Visa Checkout as a payment option in the future you will need to log in to your account. It requires your email or mobile number and password.